(DER SPIEGEL) Is Israel planning an attack on Iran’s nuclear facilities? For months now, former Mossad chief Meir Dagan has been publicly warning against such prospects. He’s hoping to prevent what he believes could be a catastrophe. His statements, however, have deeply angered the government of Prime Minister Benjamin Netanyahu. Meir Dagan is speaking out again. He’s standing on the stage of the Industrial and Commercial Club in Tel Aviv, a low-profile venue for such a high-profile issue. Should Israel attack Iran’s nuclear facilities? Dagan, a 66 year old who until January served as the head of the Mossad, Israel’s foreign intelligence agency, thinks not. Once again, he is issuing a warning. He’s chosen the same words to do so this time, too: “We have to think about what would happen the day after.” He has repeatedly said that an attack would have horrific consequences for Israel — that it would be a disaster of unimaginable proportions. Last Wednesday, just a few hours before Dagan’s presentation, there were reports that Israeli fighter jets had conducted exercises over the Italian island of Sardinia. Their training program included attacking distant targets, conducting midair refueling and thwarting surface-to-air missiles. A vertical vapor trail was widely visible in the sky that afternoon as the military tested a newly developed Jericho 3 ballistic missile that can presumably also carry nuclear warheads up to 4,500 kilometers (2,800 miles). At the same time, London’s Guardian newspaper reported that the government of British Prime Minister David Cameron was planning to deploy warships, armed with cruise missiles, on a course for Iran. The next morning, sirens could be heard throughout the Tel Aviv metropolitan area. People jumped out of their cars in a panic and ran to take shelter in bunkers. They feared the war might already have started, but it was just an exercise. Such occurrences give rise to a number of questions: Can this be a coincidence? Is Israel preparing an attack, or is this saber-rattling just psychological warfare? Or, rather, is this meant to put pressure on the world — and on Europe and the United States, in particular — while delivering the message that if they don’t act, Israel will? This week, the Vienna-based International Atomic Energy Agency (IAEA) is expected to issue a new report that officially confirms for the first time that Iran is experimenting with technology that serves only one purpose: building a nuclear bomb. This would be an ideal time for Israel to push for tougher sanctions. Indeed, it can’t be ruled out that a diplomatic maneuver is in the works — and, in fact, it seems rather likely. But that doesn’t mean that Israel isn’t also nonetheless preparing an attack. On the contrary, it’s very possible that Israel is laying the groundwork, both politically and militarily, for a preemptive strike. Israel believes that it has a maximum of 9-12 months to militarily put a halt to Iran’s nuclear program. The US estimate is 18-21 months. Either way, that isn’t very much time. The ongoing debate in Israel over whether to launch an attack is more open than it ever has been. This debate cannot be part of a bluff because it doesn’t help the prime minister when the general public suddenly wants to have a say in such matters. Indeed, that is the key question. And the answer could lie with Meir Dagan, the man who moved this debate from the backrooms of the intelligence agencies and into the public limelight. For over eight years, Dagan was Israel’s most tight-lipped man — the top-ranking spook at the Mossad, where he was known as “the man with the knife between his teeth.” His special expertise is the “separation of an Arab from his head,” then-Prime Minister Ariel Sharon is reported to have said around the time he appointed Dagan to run the Mossad. But since Jan. 6, 2011, Dagan has been speaking openly. On his last day in office, Dagan invited Israeli journalists for the first time ever to the Mossad’s headquarters, which has no official address and is not marked on any map. Then he announced that the Iranians would develop a nuclear bomb by the middle of the decade, at the earliest, but only if nothing and no one got in their way. He said it would take an additional three years before Iran developed a nuclear warhead. That would roughly put it in 2018, a date that would seem to make any attack now senseless. Israel’s top military censor sat next to Dagan, and when the presentation was over, the official told the journalists that they weren’t allowed to publish anything they’d heard. This time it wasn’t the Mossad chief who had to be protected from the public. Instead, it was the public that had to be protected from the Mossad chief. This was an entirely unprecedented occurrence in Israel. The head of an intelligence agency had approached the public with a warning because he mistrusts the government, because he fears it could risk an unnecessary war, and because he apparently believes this decision has already been or is just about to be made. With his statements, Dagan brought to light the secret wrangling between the intelligence agencies, the military and politicians over this issue, which is so essential to Israel’s survival. What’s more, if what Dagan said then and has repeated during his subsequent surprising appearances is true, then the prime minister and his defense minister actually intend to attack Iran. Despite censorship, Dagan’s words have trickled into the newspapers and caused a stir. Dagan is now making statements on nearly all political issues. He called the release of over 1,000 prisoners in exchange for Gilad Shalit, an Israeli soldier who had been held captive by Hamas for over five years, a “grave mistake.” He criticized the government for not negotiating with the Palestinians, for allowing relations with Turkey to deteriorate and for further isolating Israel. But, above all, he has repeatedly warned against launching airstrikes on Iran’s nuclear facilities. According to Yedioth Ahronoth, Benny Begin, a member of the Knesset, Israel’s parliament, for Prime Minister Benjamin Netanyahu’s center-right Likud party, says that Dagan’s actions amount to “a dangerous breach of trust verging on megalomania,” adding that: “It’s just despicable.” Deputy Prime Minister Moshe Ya’alon has called them part of an attempted coup. For his part, Netanyahu is struggling to dispel the impression that there is still time to prevent the bomb. The Israeli prime minister considers the notion of an Iranian bomb to be comparable to the Holocaust. Indeed, he fears nothing more than the idea that the world might learn to live with a nuclear bomb in the hands of the ayatollahs. Even when he was still the opposition leader, he called on the Americans to take action on a number of occasions — as can be read in the WikiLeaks diplomatic cables. He said that it was an historic moment — and that world leaders had to make historic decisions. Now it looks as if this moment may have arrived — and as if Dagan might be trying to prevent precisely this from happening. Who is Dagan, the man who was Israel’s shadowy spymaster for so many years? Is he a courageous whistleblower — or someone who is fed up with politics? How does somebody like him, a notorious Mossad chief, become the government’s leading critic? And, most importantly, how credible are his warnings? Dagan was born in January 1945 on the floor of an ice-cold freight train traveling from Siberia to Poland. At age 26, he was the commander of an elite Israeli military unit and was known for taking no prisoners. He was awarded a medal for taking a grenade from a terrorist with one hand and strangling him with the other. For him, being stronger is a matter of survival. If one inquires at the Yad Vashem Holocaust memorial in Jerusalem, one can learn that a number of families claim to be related to the man in this picture. But Dagan firmly believes in this story. It is his personal link to the Holocaust — and he sees it as a constant reminder of what an Iranian nuclear bomb could mean for Israel. In this sense, he resembles Netanyahu, who sees Iranian President Mahmoud Ahmadinejad as the new Hitler. Both Dagan and Netanyahu have made it their mission in life to prevent Iran from acquiring nuclear weapons, but they have different strategies and timetables for accomplishing this goal. Netanyahu wants to attack before it’s too late. His model is two past successful air raids — the one in 1981 against Iraq and the other in 2007 against Syria. In both cases, the regimes did not retaliate. Dagan says a military strike should be used only as a last resort, or “only when the sword is at our throat.” He believes that an attack would trigger a regional war without end. As the head of the Mossad, he fought a shadow war aimed at postponing the moment when the bomb would be built. He achieved this with the help of the Stuxnet virus, suspicious accidents and the “elimination of important forces,” as Dagan described it in a private conversation. There is a “white defection,” he says, with fewer and fewer Iranian scientists willing to volunteer to work as part of the nuclear program. The idea is to delay the bomb’s construction until the ruling regime in Tehran has been overthrown — and Dagan believes this is precisely what is about to happen. Now, though, he is afraid that Netanyahu might jump the gun and ruin his plan. After all, waiting is not Netanyahu’s forte. For over 10 years, he has been warning about Iran, and he doesn’t believe that Dagan’s shadow war alone can prevent Iran from acquiring the bomb. Some high-ranking military officials and politicians have gone so far as to accuse Dagan of actually winning time for the Iranians. But Dagan defends his strategy. He says he feels it is his duty to warn the public. Anyone who orders an attack, he contends, decides on the fate of future generations. This decision cannot be made in small circles, he adds. And, by that, he also means: not by these politicians. As Dagan sees it, Netanyahu is incapable of leading Israel and has failed on all fronts. Israel has never been so strong militarily, he argues, yet had such weak political leaders. While he worked together with Netanyahu, Dagan says that the prime minister never informed him of any concrete political or military objectives. It is only when it comes to Iran that Netanyahu has an opinion — and a goal. In order to achieve this goal, Dagan accuses Netanyahu and Defense Minister Ehud Barak of trying to silence all criticism. The two politicians want to make this decision without involving the rest of the government, Dagan contends. And he views this way of doing things as legally problematic. Indeed, Dagan says, this is why he and Gen. Gabi Ashkenazi, the chief of staff of the Israeli Defense Forces (IDF) from 2007 to 2011, were removed from their positions during the first months of this year, and why Yuval Diskin, the head of Shin Bet, Israel’s domestic intelligence agency, was not allowed to succeed him as head of the Mossad. Instead, they were replaced by individuals who reportedly have less critical views on attacking Iran and at least lack enough experience to take a firm stance against such a move. 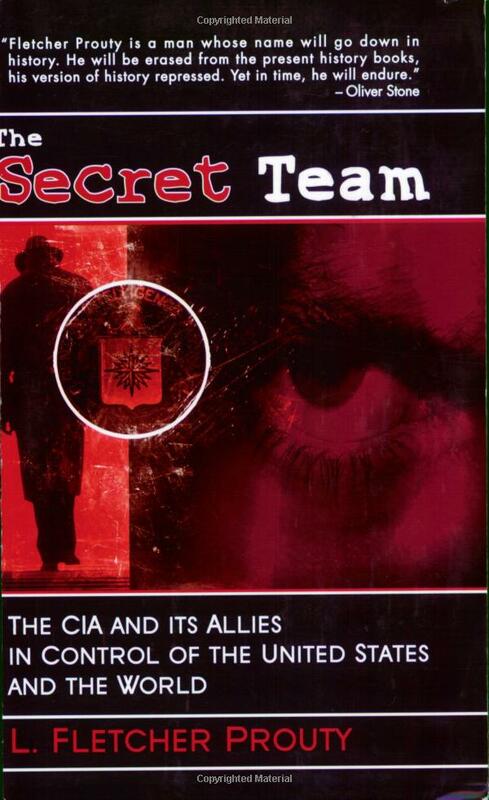 Dagan calls this a plot, a clandestine putsch by the politicians against the intelligence agencies. “Diskin, Ashkenazi and I succeeded in blocking all dangerous adventures,” he says, adding that now there is no one left to stand in their way. This version is supported by many former military officers, intelligence officials and politicians who defend Dagan and strike similar tones. “Listen to them, in every field,” says Tzipi Livni, the parliamentary opposition leader and head of the centrist Kadima party. Open criticism used to be rare in Israel, but that is no longer the case. Danny Yatom and Efraim Halevy, both former Mossad chiefs, say that Dagan is right to speak up — and that he apparently has good reasons for doing so. “The public should hear his opinion on Iran,” Yatom says. Those who know Dagan — and, particularly, generals and former colleagues — confirm he means what he says. They say he is neither interested in launching a political career nor seeking any benefit. For a long time, the Americans have also been afraid that Israel would make good on its threat to attack. In the spring of 2008, then-US President George W. Bush flew to Israel for a surprise visit. He demanded to see then-Prime Minister Ehud Olmert and his defense minister, Ehud Barak, neither of whom knew the reason for the meeting. “I need you to promise that you won’t use the transitional period between me and my successor to attack Iran,” Bush reportedly insisted, apparently highly concerned. A similar visit was made this October by US Defense Secretary Leon Panetta. All steps against Iran’s nuclear program must be coordinated with the international community, he warned Israeli leaders — so emphatically, in fact, that it sounded as if US intelligence agencies had gotten wind of preparations for an attack. Has Dagan postponed an attack or perhaps even prevented one? It may be possible to answer that question someday, or we may never know the answer. What is certain, though, is that nothing undermines a secret attack more than talking about it. Menachem Begin, Israel’s prime minister from 1977 to 1983, called off the first air operation against Iraq’s Osirak reactor after then-opposition leader Shimon Peres found out about it. The pilots were already sitting in their fighter planes. A month later, they destroyed the reactor. “Forgive me,” says Dagan, “but I will continue to speak at every opportunity.” He adds that one shouldn’t try to stop him. He has a good lawyer, he says, and a good memory. Israel is going to lead us all into a WWIII with this insanity!!! Hay Bro, I take a bible point of view, and Gods will is calling the timetable on this one, the Bible says that all the world will be pissed at Israel, I hope and Pray that this does not happen right now, but ww3 is close at hand, whats 75 years or so in this life worth anyway, if you will not be with God in the End, Trust have Faith, God has a plan.